It was purple. It was cool. And it was called “Doubt”. 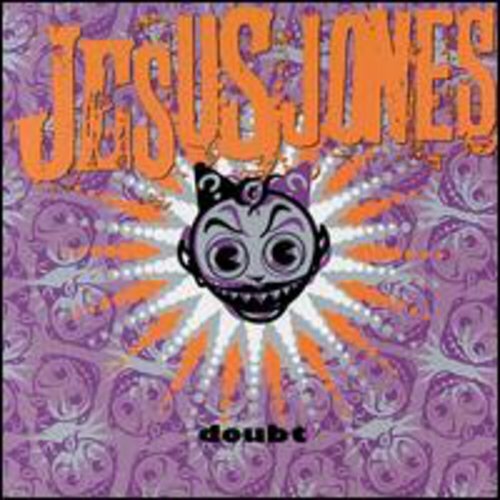 It was by these guys who called themselves Jesus Jones (they ended up being one-or two-hit wonders). Fast forward about 6 or 8 years and I started taking Political Science courses, and becoming aware of the oppression that continues to exist, even in democratic, equal-rights bearing societies like Canada and the United States. In 2001, I entered grad school – political science yet. One of the core books in the program was The Structure of Scientific Revolutions, by Thomas Kuhn. It’s a fairly short book, but somewhat difficult to read. His basic thesis boils down to the idea that, at any given point, there are people who have ideas that are outside the norm of what is acceptable. Using the examples of Copernicus and Galileo, Kuhn argues that over time these “non-norm ideas” start to become acceptable. About a week after I started, the twin towers fell and the Pentagon was attacked. An irrational act, by North American standards and we went into lockdown. There were two routes the Bush Administration could take: revenge (currently acceptable norm) or compassion (outside the norm). Right there, right now, they chose the norm. In November 2006, Nancy Pelosi was appointed Speaker for the House of Representatives. I cried tears of joy. Never before had a woman come so close to the Presidency – third in line, to be exact. The alarm was sounding for us to wake up from history. When Hillary Clinton started her run for the Democratic nominee for President, I supported her – as a woman, what choice did I have? Although I don’t have a say in the US election, I saw this as a chance for the US and North America in general to wake up from history. Then, a funny thing happened – a young Senator of African descent from Illinois made his pitch for nomination as well. He spoke of hope, equality and fairness – echoes of Martin Luther King, Jr. and Bobby Kennedy. And he won me over – especially when I realized one of my friends, a woman of African descent – was rooting for him. I realized that whichever candidate won, they could wake us up from history through mere symbolism. Who knew that at the same moment in history a woman and a black man would make the run for the Presidency and either would have a good chance at winning? Today, I’m having problems holding it together as I watch CNN. Hillary Clinton is going to make a speech in a few minutes where she is anticipated to step down and endorse Barack Obama. As a woman, I am sad that she didn’t make it. As a Canadian Citizen, however, I believe Obama is the best chance, right here, right now for both of our countries. So wake up – the revolution is passing you by. When you get up in the morning and have to clean up cat puke right away? Not a good start to the day. Especially when you don’t feel like getting out of bed anyways. So I came home early, cleaned up more cat puke (oh. Joy) and am now flaked out on the sofa watching the all brainwashing all the time channel CNN, because today, friends, history is being made. Honestly, even if I had work to do at work, I’d have a hard time concentrating. As I write this, Barack Obama is 12 delegates away from winning the Democratic Presidential nomination. Hillary Clinton has said she’s open to running as Vice-President. Today history is being made. Neighbours to the south, make it again on November 4.